The first tranche of grant funding under the Waste Less, Recycle More initiative has been announced. The initiative is a five-year $465.7 million initiative led by the NSW Environment Protection Authority (EPA) to help achieve the State's recycling targets, stimulate investment in infrastructure and combat illegal dumping and littering. 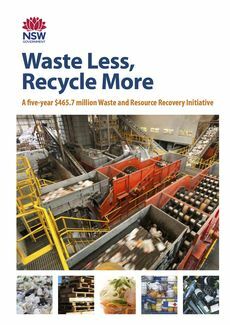 Of particular interest to recyclers would be the Resource Recovery Facility Expansion and Enhancement aimed at stimulating and accelerating investment to enhance existing recycling facilities. For more detailed information about the initiative, please visit the NSW EPA's Waste Less Recycle More web page. Don't forget it's National Recycling Week from 11th to 17th November 2013.